Hahaha, I love the background of the english version ! Amazing !!! :D I looooove the background! And wich article are you talking about ? To pitoum, It's on his (Miller's) blog. No pencils? No sketching? Straight in? Impressive as hell, man. I grew up with Giraud and found Miyazaki later in life. This is my new favourite comic blog. So that's why they say the pen is mightier than the sword!!! Kudos! 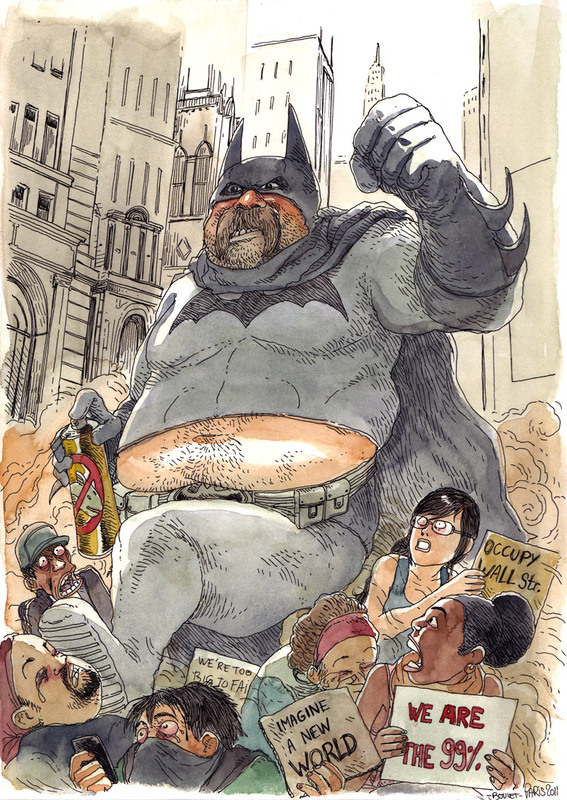 The only way the Batman could have looked more disgusting would be if Miller had done it himself, but then, inadvertently :D. There was a short while in the nineties when I thought Millers disgusting drawing technique was meant as a comment on the pro-fascist content he always had... boy, was I ever wrong! That's just great! To see how actually you do your work is awesome! Really glad that you posted it! Here in Brasil, we do not have much access to European albums, our market is more focused on American Comics and Mangás, and that's just sad, cuz we will never have your material at our comic shops... Just thank you for your work! (Eew, what a fanboy to say that)! you are an excellent drawer, Boulet! Do you ever use underdrawing for your comics, or you prefer to ink without a draft? I'm an artist, too, but this is different level of artistry! its like MAGIC!